Holly Robert's exhibition of painted photographs, Woman Listening To Herself, focuses on the complexities if individual identity and the subsequent consequences for interpersonal relations. Photographs are covered with thick oil paint, which is in turn incised, heightening its tactile quality. The photographic images, when exposed, hover under the blanket of paint, creating stark compelling images of figures in isolation. 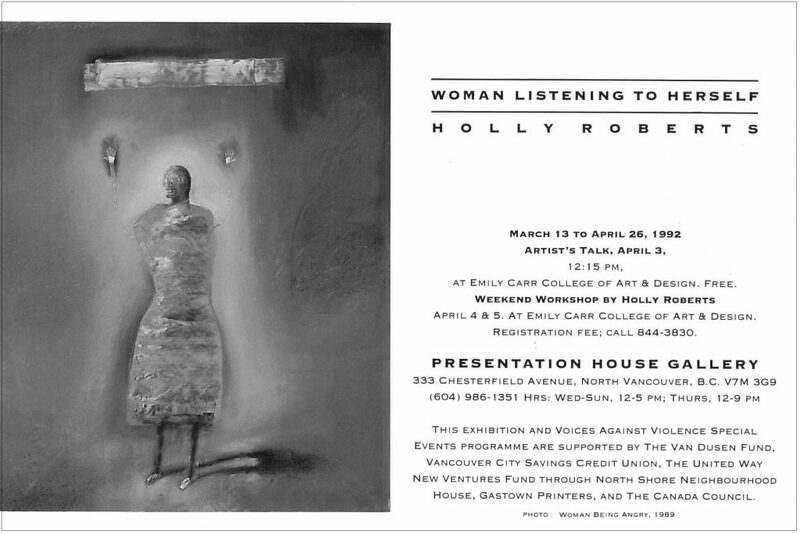 April 4th and 5th | A two-day workshop by Holly Roberts at Emily Carr College of Art and Design.